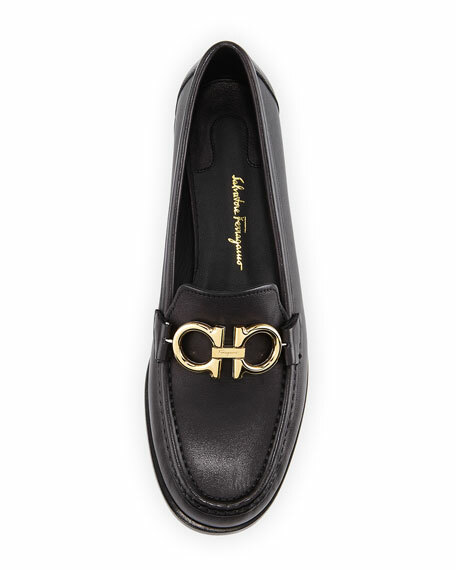 Salvatore Ferragamo "Rolo" calfskin loafer. Gancini horsebit reverses from silver to gold. 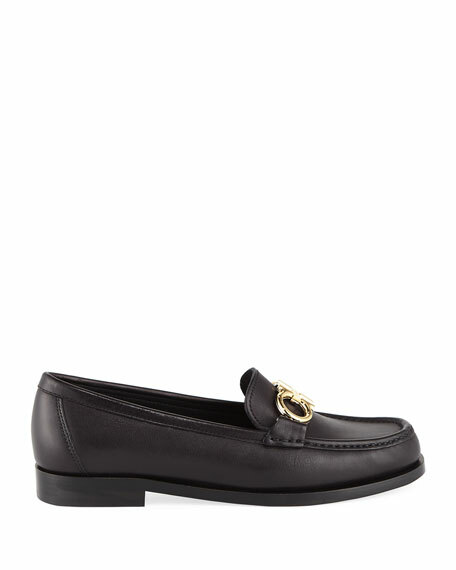 Salvatore Ferragamo leather loafer with ball-studded signature bow detail. Flower-shaped 0.5" flat heel. Round toe. Notched vamp. Slip-on style. Leather lining and sole. Made in Italy. 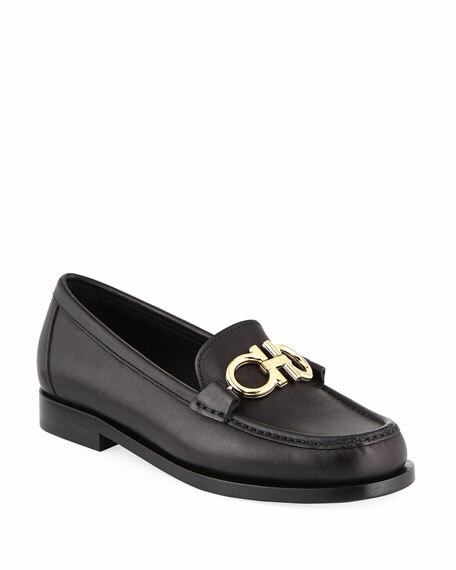 Salvatore Ferragamo velvet loafers with signature Vara bow. 0.3" cylinder flower heel. Round toe. Notched vamp. Slip-on style. Leather lining and outsole. Made in Italy. Salvatore Ferragamo leather mules with ball-studded signature bow detail. Flower-shaped 0.5" flat heel. Round toe. Notched vamp. Slide-on style. Leather lining and sole. Made in Italy. 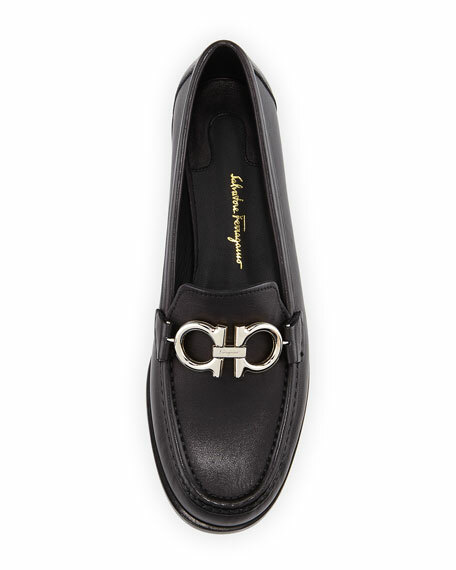 Salvatore Ferragamo "Viggio" loafer-style mules in vitello saddle leather. Gancio ornament flips from golden to silver. 0.5" flat heel. Round moc toe. Memory foam footbed. Leather lining. Made in Italy.